One of my goals this year is to improve the rigor in my classroom. I want to move past those "right there" questions and really make my kids dig deep into the text. I've been focusing on Bloom's Taxonomy as a result and I created a resource that has really help move beyond pointing directly to the answer. I call them bloom's ladders. We treat it like a video game. Students place a paperclip next to each task or question. When they complete a task/question, they move the paperclip down to the next. They must "defeat" an entire level in order to move onto the next! As the levels increase, I only require students to complete a certain number of tasks since those tasks require more detail and/or preparation. With this resource, I've also created a slightly different variation called "How High Can You Go?" Still "played" the same way, but with these all 6 Bloom's Levels are on one ladder. I have created one for plot, character, problem/solution, and comprehension. 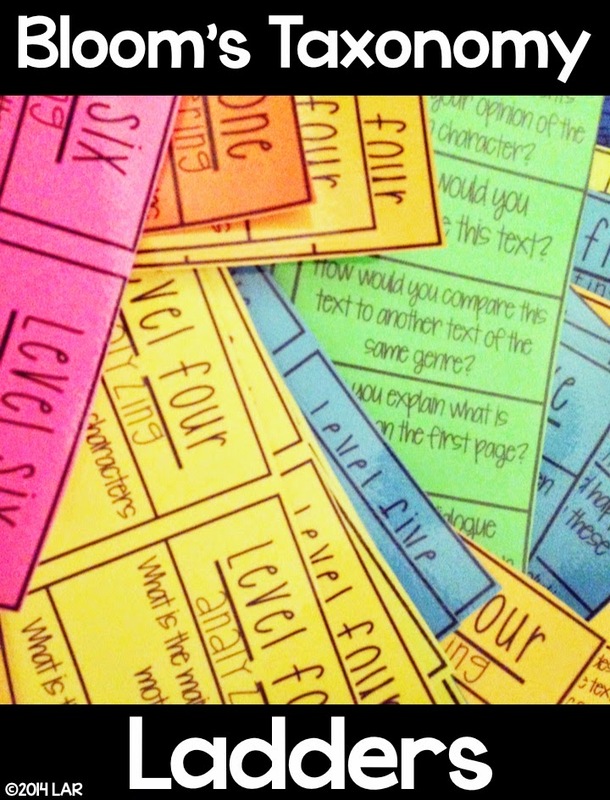 I've also made these higher level task cards that can be used in a number of different ways. 20 tasks are included. 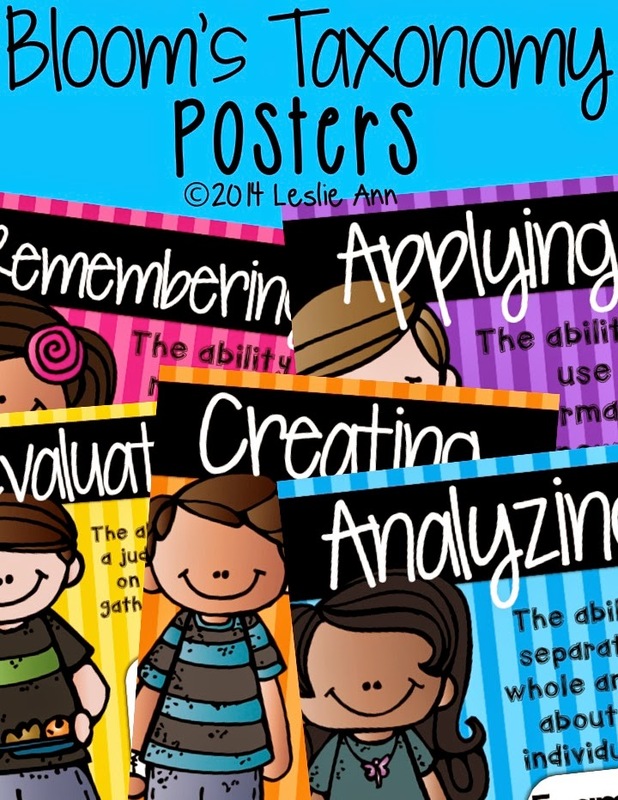 A set of my Bloom's Taxonomy Posters are also included. Want to know my favorite part of this resource? You can use it with ANY fiction text! Be sure and check out my Bloom's Ladders for Non Fiction Text here. These are so cool! I love that you can use them with any fiction book! I love the bright colors, too! I WANT THESE!!! Did you buy these or devise the ladder/activity cards yourself? Do you have any similar resource for nonfiction texts? Question about how you use these, I just bought them and I love them. Do you use them with a novel you are reading and have them complete the levels as you go through starting with level 1? Do the students complete them on their own working at their own pace through the novel? Do you use it with short reading passages? Any help would be appreciated!